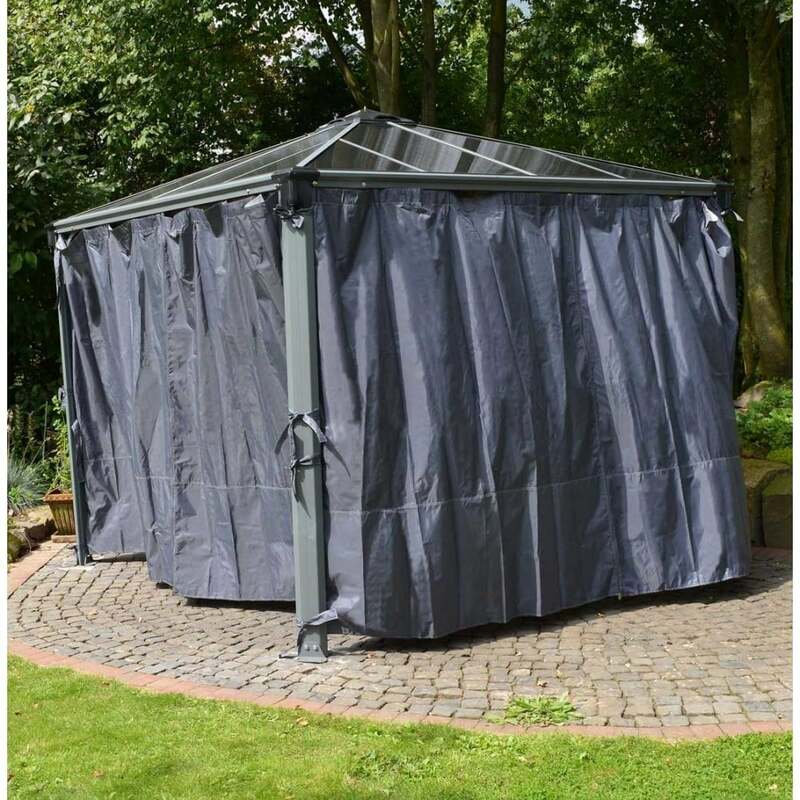 Palram Garden Gazebo Palermo 4300 Curtain Set Grey 4 Piece: This Gazebo curtain set is functional and appealing providing privacy and protection from the elements. Designed to be compatible with the Palermo Gazebo structures, the curtains come with hooks that slide into the integrated clips in the track of the gazebo structure. This set features four curtains which will provide cover for the entire gazebo and are easy to install and use. There are zippers to allow curtains to be attached to one another and ties to secure them to the corner posts. No maintenance is required and these curtains are machine washable using cold water and a no chlorine detergent. Only for use with the Palram Palermo 4300 Gazebo.